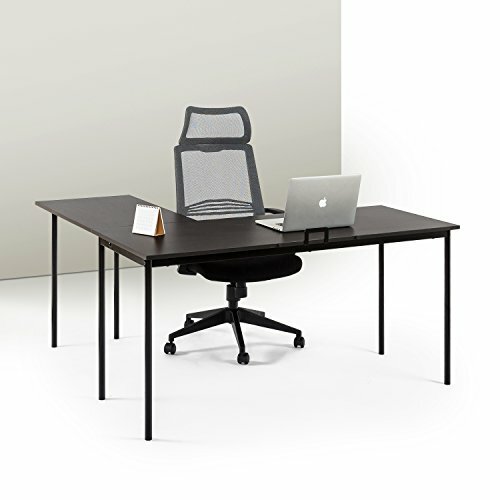 Inspired by modern design, this L-shaped corner desk effortlessly creates a multifunctional work area. By fitting in a corner or against a wall, it will maximize your home office space. With strong steel frame support and beautifully finished surface area it makes a perfect addition to any home office or study area. Easy to assemble and protected with a worry free 1 year warranty. VersaDesk Power Pro - 36" Electric Height Adjustable Standing Desk. Power Desk Riser with Keyboard Tray. White. VersaDesk Power Pro - 30" Electric Height Adjustable Standing Desk. Power Desk Riser with Keyboard Tray. Black.